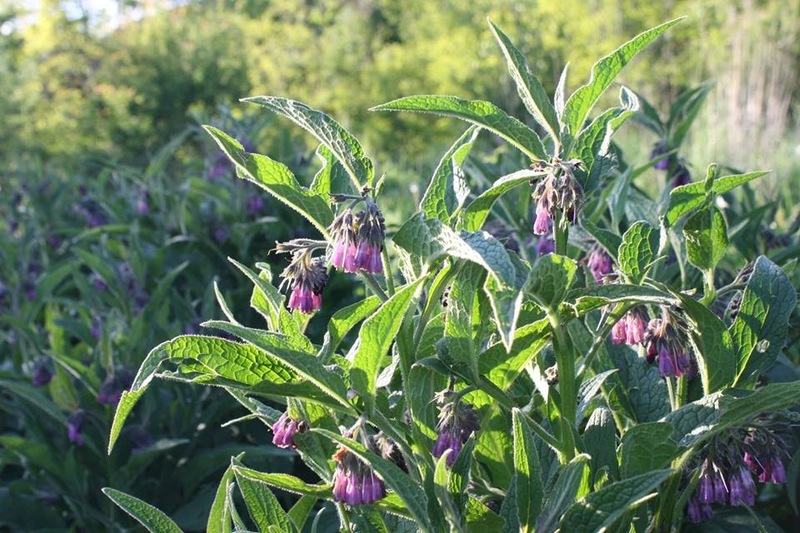 If you would like to learn more about comfrey and why it's considered such a great plant by many people take a look at our previous post Comfrey - BELIEVE the HYPE!. Below you will find an overview of our trial and the results from 2016 and 2017. 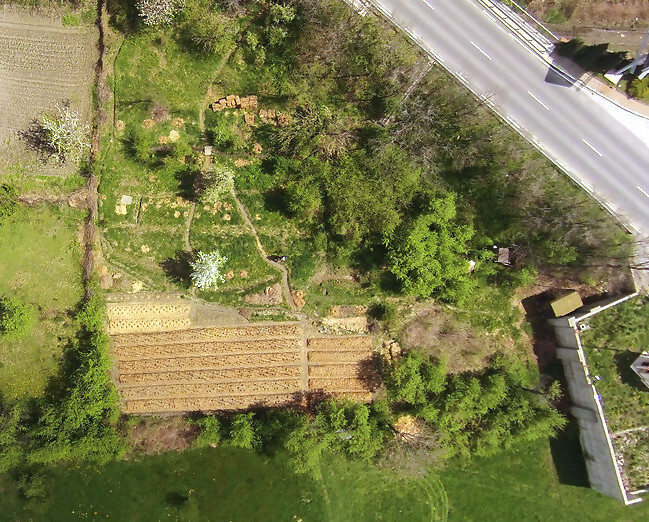 We started by taking a base soil sample, after which we dug over the plot, removing weeds and adding 20 L of mature compost per m length of bed (200L) and 70g of wood ash per m length (700g). We planted out the beds using divided crowns of larger plants and left them to grow without disturbance for the entire season of 2015. 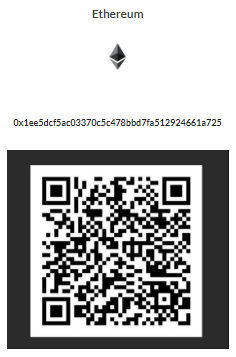 We also broadcast approx. 1.5 g per m2 of Trifolium repens - White Clover onto the pathways in between the beds. Planting Material - It's easy to plant out with crown divisions or root cuttings in the spring when the soil has warmed. 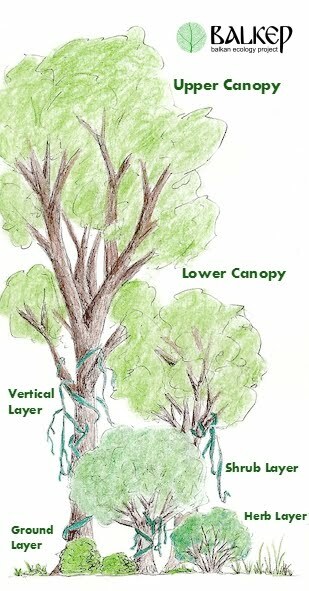 A crown division can be obtained from simply putting a spade through the center of a mature comfrey plant and transplanting the divided sections. For our patch I divided 2 yr old plants into quarters, sometimes sixths, and these established very well in the first year. We did not harvest the leaf biomass in the first year in order to allow a deep root system to develop. However, if you use large divisions you can start harvesting in July. Irrigating - Irrigation is applied to the beds every 10-14 days without rain. We use flood irrigation diverted into the paths from mountain stream. I'd estimate 30 L per m length each week without rainfall would be sufficient for good growth rates. 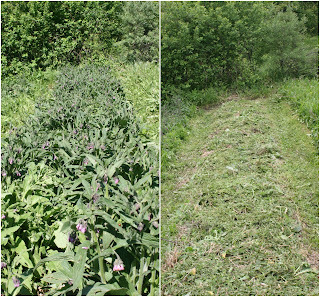 Cutting - We cut the Comfrey four or five times per season (see below for dates and weights). 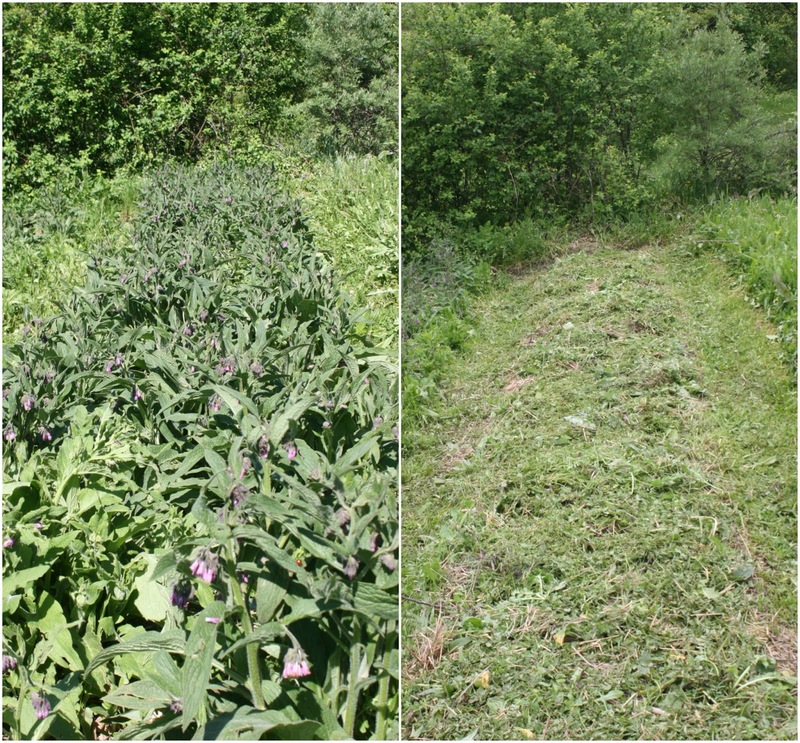 The comfrey is cut to approx 5 cm from the ground using a sickle, shaken out so all of the wildlife drops out and weighed immediately. We generally leave the plants to flower for 7 -10 days before the first two cuts, seeing as the bees are so into the flowers. Mowing - After the cut, the pathways and surrounding paths are mown and the trimmings are applied more or less evenly to the surface of the bed. Usage - Preparing liquid fertiliser (Comfert) - In 2016 we used the cuttings to make liquid fertiliser. We place the fresh material into a 200 L barrel with stones on the top to compress the material and leave it to decompose for a few weeks. The result is a black smelly slurry that can be sieved off to leave a quantity of dark brown liquid. The liquid can then be diluted from 1-15 to 1-20 and applied to crops. The largest cut we made from 13m2 bed just about fit into the 200 L barrel. 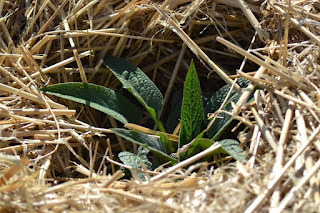 Usage - Mulch - We did not make comfert in 2017, instead we used the comfrey leaves directly as mulch. I estimate that approx. 8 kg of fresh material can provide a good mulch for 1.5 m2 of ground. During the season we casually observed invertebrate activity in the patch and took note of wild plants that establish in the beds. As well as how much biomass we can harvest we are also interested to learn how comfrey effects soil fertility and as such have been gathering soil samples from the plot for analysis. We took a soil sample in the area before preparing the beds in March 2015, a sample in November of 2016 after the first season of cuts were made. and from then on we sample in March and November each year. 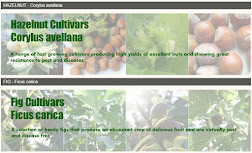 All samples are sent to NAAS of the Ministry of Agriculture and Food. For higher yields the plants can be cut before flowering. We did not carry out this practice to allow the bees to forage. Carpenter Bees one of many species of solitary bees that feed from the Comfrey flowers as well as Honey bees. 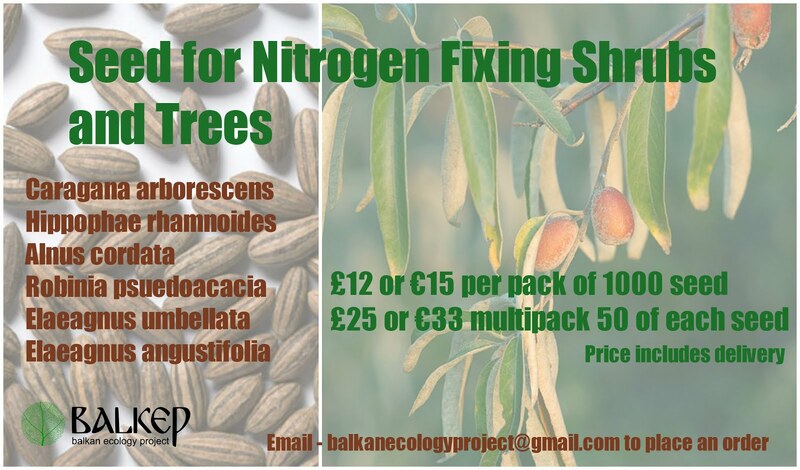 A simple way to increase yields is by applying a urine fertiliser and we hope to experiment with this in the future. 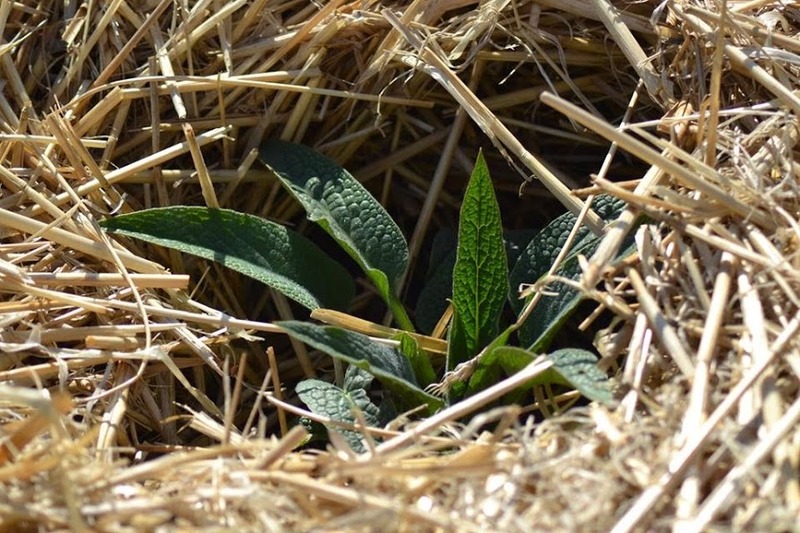 We use most of the comfrey in the market garden for mulch and for making compost. Comfrey can also be used to feed animals. Our rabbits and pigs both enjoy the fresh material, and we use plants growing in our garden around the animal housing for this. 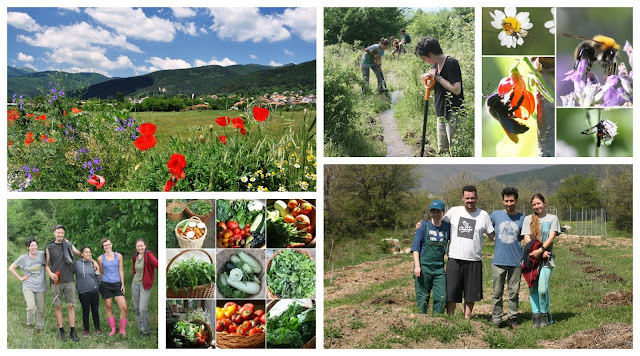 If you would like to join the comfrey trials fill in your details below and we'll email you our record keeping templates. It will be great to have records from all over the world and see how well these plants grow in different climates. 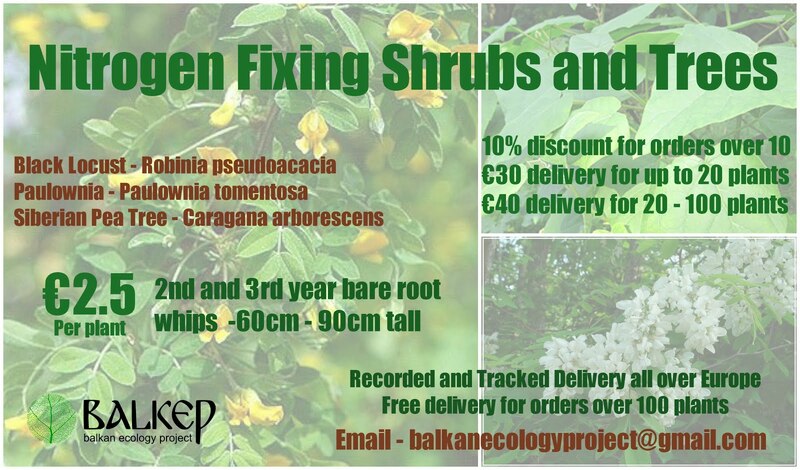 Root cuttings and crowns come from our bio nursery and are 100% biologically grown - Click here for crowns and here for cuttings. 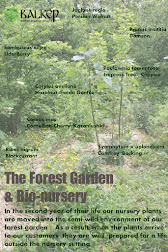 If you would like to create a forest garden and gain some practical hands on experience join us this Summer. 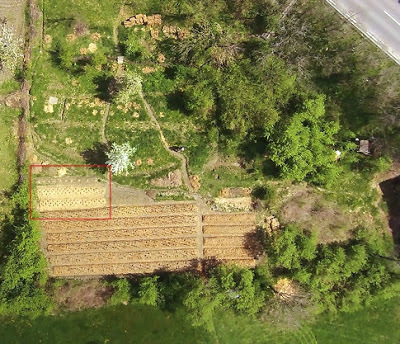 We'll be covering site surveying, landscape design software, installing access, beds, irrigation channels, planting tree, shrub, herb and ground layers and making a small wildlife pond. All in 3 days! And plenty of follow up material to take away with you to digest slowly. 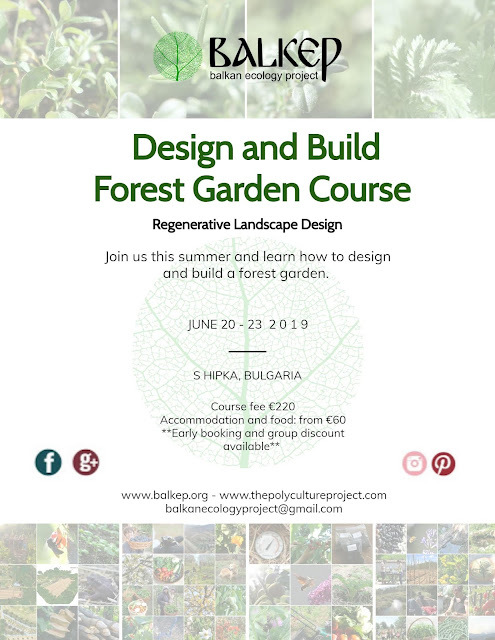 Registration for our June course is now open with 15% discount on accommodation and food fees when you register as a group (2 or more). 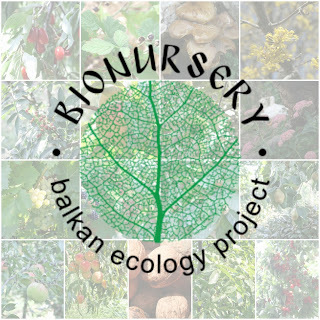 Would you like to be involved in the project? 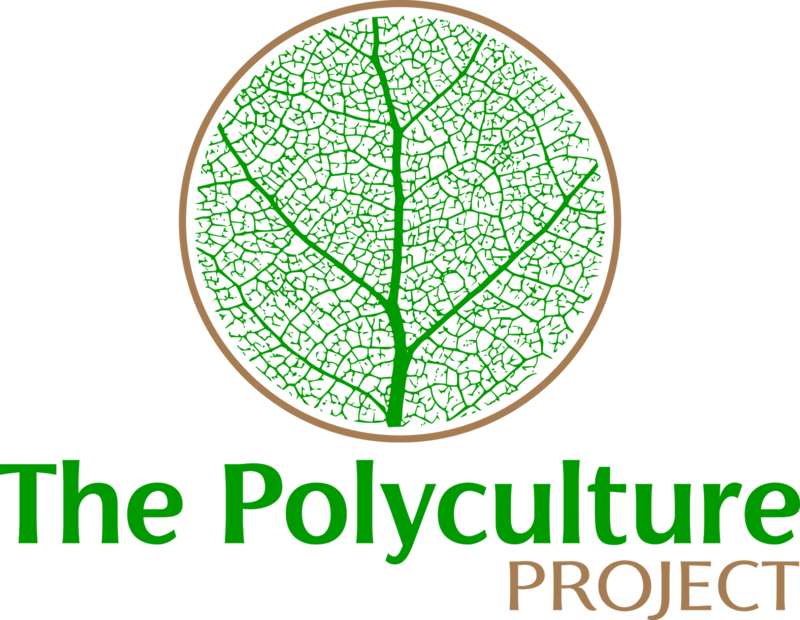 We are currently offering 1 - 6 month positions on our polyculture study. Would you like to grow your own polycultures? 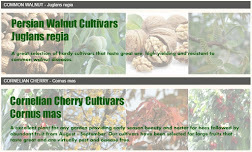 Check out our range of seeds, tubers and cuttings available all year around - delivery worldwide. 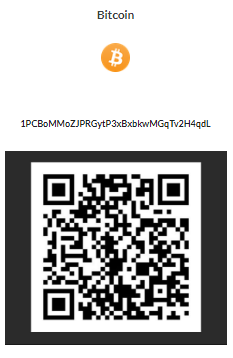 If you appreciate the work we are doing you can show your support in several ways. 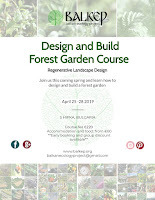 Consider joining us on for one our Regenerative landscape design training courses. 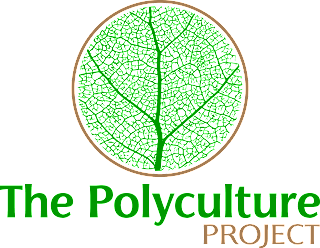 Donate directly to our Polyculture Project crowdfunding campaign. Comfrey - BELIEVE the HYPE! The Results - A Trial Looking at 5 Ways to Prepare Beds for Tree and Shrub Planting - Which one is the best? 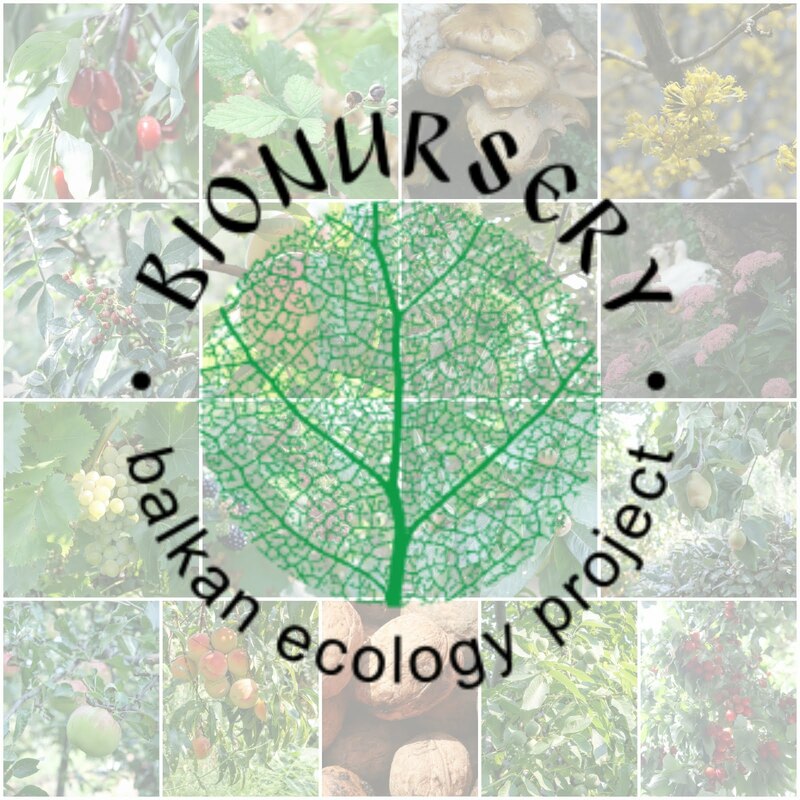 Balkan Ecology Project. Simple theme. Powered by Blogger.